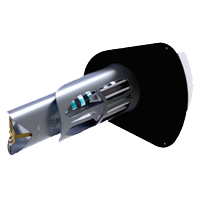 The award winning REME HALO® is the next generation of indoor air quality (IAQ) technology and capable of purifying every cubic inch of air that your central air conditioning system reaches. Unlike passive air technologies, which need pollutants to pass through the unit for purification or filtration, the REME HALO® sweeps through your home actively purifying pollutants at the source. Invented to recreate nature’s process of purifying the air, it’s like bringing fresh outdoor air inside without ever having to open your windows. And it’s effective against all three categories of indoor air pollutants: Particulates, Microbial and Gases.